We decided that a trip to Hakone had to be included on our winter trip when we woke up one morning in Tokyo, flung open the curtains of our room at the Hotel New Otani and were greeted with an amazing view of Mt Fuji in the distance set against a clear blue sky. A few days later on another super clear morning, we jumped on an early bullet train and half an hour later we were in Odawara. We stopped into the information centre and picked up the ‘Hakone Free Pass’ and were on our way. This pass was great value for us and there are a couple of versions to suit your travel needs. If you don’t have the JR Pass you can get the version that starts at Shinjuku in Tokyo, otherwise jump on the Shinkansen to Odawara at Tokyo or Shinagawa stations and you’ll get there faster and save a few dollars. The base pass is for 2 days but it’s still great value for a day trip, then there’s a 3-day version if you’re staying a couple of nights. The ticket we purchased was Y4000 (just over $43 Australian dollars). It covers all the transport you’ll need, the Tozan train and cable car, the Hakone ropeway, a sightseeing cruise on Lake Ashi and a variety of buses between locations too. You can use all of them multiple time and in either direction. You also get discounts from dozens of museums, restaurants, onsen and other attractions by showing the pass. We have another article on the site to give more information and to help you decide whether the Hakone Freepass is good value and if it might work well for you. The variety of transport on this circuit and the amazing views they provide are a big part of this trip. We did the course anti-clockwise and if we did it again we would probably have doubled back after exploring the attractions at the southern end of the lake to enjoy the ropeway a second time. The bus was a faster way back to Odawara from Motohakone-ko but didn’t add much to the trip for us but we loved the ropeway and our time up the mountain. Looking for a way to do Mt Fuji and Hakone in one day? We arrived at Odawara station on the Shinkansen but other JR local trains will get you to here too. We then took the Tozan train on the Odakyu line through to Gora. It’s a pretty standard older style train but very clean and comfortable as you come to expect in Japan. There are plenty of windows and we sat on the left-hand side which gave some gorgeous views as it meandered along its 40-minute route. The train is built to climb the steep mountain slopes through the heavily planted area and over the 43-metre high Deyama Bridge. We’ve now been back through here in the autumn and I can imagine this route would be stunning in all seasons. How gorgeous is the snow! Probably not so much if you live with it all the time but for someone from the sub-tropics it is a real highlight and had my camera out constantly. I had expected snow up the top of the rope-way but seeing it along the route was a definite bonus. The clear blue winter sky really made it extra special. Hakone-Yumoto station is a popular stop on the Tozan Train route. This is the starting point if you arrive on the Odakyu Romance Car from Shinjuku or about a 15-minute ride from Odawara if you arrived by Shinkansen or other JR train. It’s an adorable little town with some good restaurants along the main street. You can follow the river to the Tamadare waterfall and Shogenji Temple or do an onsen experience at Hakone Yuryo as we did if you can fit it into your day. Either start here or end your day with a relaxing soak and dinner. If you want to visit the Hakone open air museum, an outdoor art gallery and park then that is accessed along this route from the Tozan train. We visited it on a separate autumn visit and have included all the details you need and a load of photos to give you an idea of what to expect in the link. From the train station in the onsen town of Gora you walk to the adjacent cable car station. It looked a pretty town and I’d have liked more time in our schedule to explore a little on foot. Once on the cable car, it’s only a 10-minute ride up the hill and the views along the way are stunning, make sure you get a seat by one of the huge windows. Then at the top of the cable car is the first rope-way station. The ropeway was amazing, each carriage has huge windows that provide amazing views of the mountain and the valley below. The full ropeway from Sounzan to Lake Ashi takes 30 minutes but you’ll want to get off in the middle to explore Owakudani. Three thousand years ago Mount Hakone erupted leaving a crater that is known today as Owakudani. The area remains an active volcanic region with hot rivers and springs and the ever-present smell from the sulphur fumes. It’s sometimes called Hell Valley which may be a throwback to the name O-Jigoku meaning ‘great hell’ which the area was known as around 150 years ago. 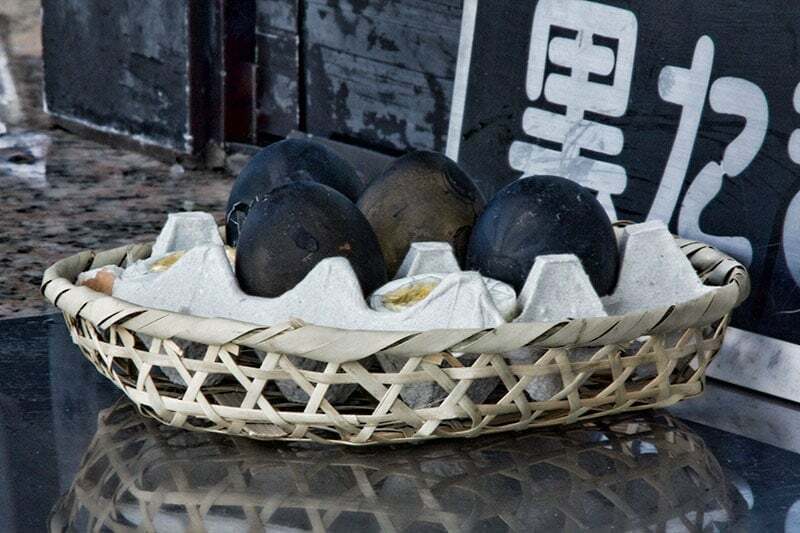 You can walk up to see the kuro-tamago (black eggs) being boiled in the natural springs, the minerals turn the shell black but inside it still looks like a normal boiled egg. Legend says eating one will extend your life 7 years but I couldn’t bring myself to do it, I hate everything about boiled eggs. There are plenty of weird and wonderful things I’ll eat on my travels but a boiled egg, well heck no! The legend also says you should eat no more than 2 so don’t go trying to make yourself immortal. The view of Mt Fuji was unbelievably good from up here but I believe it does depend on the day. If you can pick a clear one it’s best, on a bad day Fuji-san might be off hiding in the clouds and you’ll never know it’s there. I also loved this small Buddhist alter near the entrance to the walk up to the hot springs. The Buddhist monk Kobo Daishi who founded the Shingon sect in Japan visited this spot 1000 years ago, he prayed for those suffering in the hell realms and placed a statue of the Bodhisattva Jizo. Today the Enmei Jizouson Temple stands here. 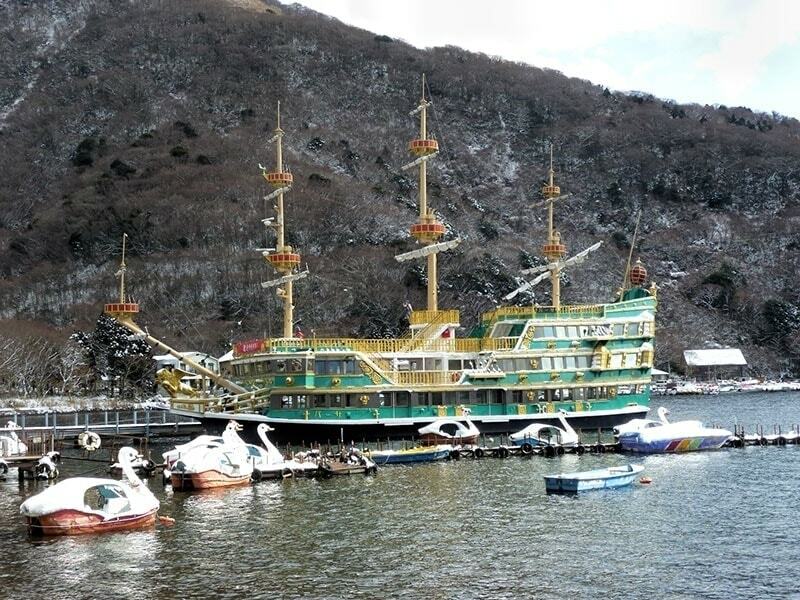 From Togendai the pirate boat cruises the length of Lake Ashi to Moto-Hakone-Ko. The views of Mt Fuji are also pretty stunning from the lake but the day was starting to cloud over as the afternoon progressed. I would imagine in other seasons the hillsides would be really pretty but with just a dusting of winter snow, they were quite brown and bare. At the southern end of Lake Ashi is the Hakone Checkpoint. During the Edo period, this was an important checkpoint on the Tokaido highway that linked Tokyo and Kyoto. Recent work has restored it to a structure consistent with that time with gates, fencing, a lookout, prison and housing as it would have been for the officers and soldiers during that time. Also further on from here is the cedar walk, a segment of the old Tokaido highway. There was a good covering of snow on the ground so it wasn’t possible to tell on the day we went but I believe some of the original highway stone paving is visible here during most of the year. A bit further on again you’ll come to the Hakone Jinja (Shinto shrine). It’s set into the forest but you’ll see the torii gates as you approach from the Moto-Hakone road. Once inside walk down to the lake and you’ll see a ‘floating’ torii, it’s much smaller but a similar concept to the one at Miyajima island. We pretty much called it a day from here and headed back using the local bus service which was also covered by the pass. With a day trip during the short days of winter, it was difficult to fit much more in. We are slow travellers, love a bit of a detour and did spend longer than we planned at Owakudani. We decided to stop for lunch up the top of the mountain there as the views out to Mt Fuji were just so good. We went back on another trip to visit the Hakone Open Air Museum (art gallery) as we ran out of time to loop back as we planned to at the end of the day. Also an overnight trip would allow you to make use of the hot spring onsens that the area is renowned for, several of the hotels have these available for guests. I’ve shared information on our Hakone Onsen experience and it is practical to add this and dinner to the end of your day’s sightseeing even if you’re returning to Tokyo or on to Kyoto. If you choose to use the free options when they are available then the Hakone day trip will make it a little easier for you to look up information or share those gorgeous pictures of your day on Instagram during the day using the Odakyu Free Wifi. There are blue signs with the international wifi symbol showing where it’s available but it’s at the various stations, ports and on the boat as you go around the course. Travelling independently our experience is that Hakone and Mt Fuji require a minimum of a day each in order to see enough to really enjoy it. Sometimes though time is really limited and you just don’t know when you will have the chance to be back. If that’s the case then there is a recommended tour option that includes the highlights of both Mt Fuji and Hakone. The tour picks you up from a variety of locations in Tokyo, you make the trip up to Mt Fuji’s 5th station for its incredible views, cruise in on Lake Ashi, and ride the ropeway taking in the unique perspective on stunning views of Hakone and Mt Fuji. The tour includes lunch and transfers back to Tokyo. We have a few extra resources to help you plan your trip to Hakone. Have you visited the Hakone area either on a day trip or longer stay? If you have a moment please leave a comment below to share your thoughts on your experience and your favourite spots in the area. Hi, Great post!! We are visiting Japan next week and will have a JR pass. Does this cover all the transport options you mention in your day trip? Hi Viv. The JR Pass covers very little of Hakone. JR or Japan Railways is the National train company and operate most of the intercity routes and bullet trains in addition to some routes in city areas. There are also many smaller railway companies that cover smaller areas and provide commuter and/or tourist services in those areas. In Hakone that is Odakyu which is why their ‘Hakone Free Pass’ can be a good option for visiting here and saving money if you are doing the loop or moving around quite a bit. With your JR pass you will probably want to take the bullet train as far as Odawara (the JR Hakone stop) but from there will need individual tickets or the Hakone Free Pass. Odawara is a hub station, both JR and Odakyu use it. I’ll link another article that shows a value calculation on the pass, this was based mostly on one of our first trips there where we also use the JR pass as far as Odawara. This article and the Hakone Freepass value was extremely informative. It has helped me plan my Hakone itinerary very well. I have one doubt though – All through your Hakone trip(Odawara-Gora-Sounsan-Togendai circuit), you do not mention the Fuji 5th station. Is this a deviation? I would like to include this also in the aforesaid circuit. Can you advise please? While you can see Fuji really well from points around the circuit you aren’t actually that close to it so it doesn’t form part of the Hakone circuit. If you were going to do both destinations in a couple of days the Fuji Hakone Pass would be better than the Hakone free pass for that. By preference, if doing it independently I’d go directly from Tokyo to Kawaguchiko then take the bus from outside the train station (just under an hour) to the Fuji 5th station. Kia Ora! So glad I found your blog. First trip to Japan and already trying to figure out how everything works! So my partner and I are planning on doing an overnight stay at Hakone on a one week Japan trip (Tokyo-Hakone-Kyoto) in about mid-Feb next year. We’re staying at a ryokan called Hotel Okada (which is very close/walking distance from the Hakone-Yumoto station). 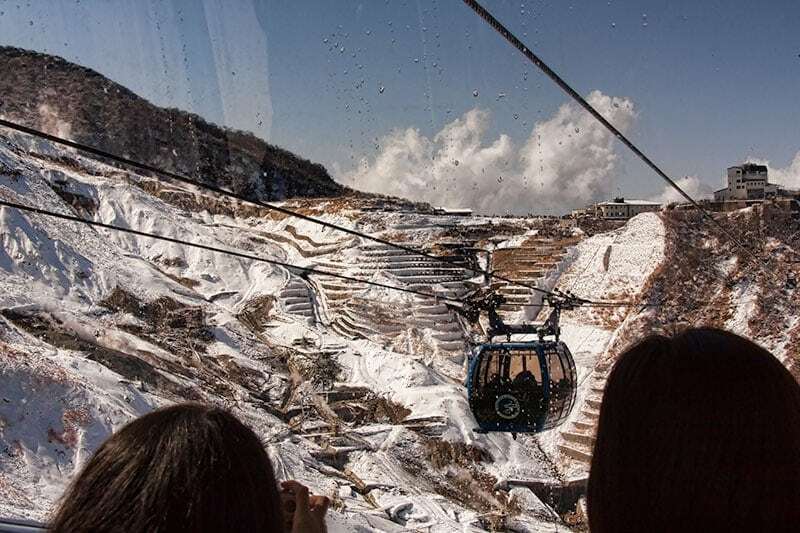 The main things we really want to do are the Hakone Open-Air museum, the Hakone loop (with the freepass, to get a look around and hopefully catch a glimpse of Mt. Fuji) and hopefully a good chunk of downtime at our ryokan too (excited about the in-room kaiseki dinner). Also wanted to see the Hakone shrine but not planning on spending too much time there. Do you think it would be better to split our sightseeing across two days rather than the one? It’s a bit hard to tell how long things will take, especially all the changes in transport! I was thinking of doing the Hakone loop as soon as we get there in the morning (rather than going to the ryokan straight)- Yumoto station > Gora > Sounzan > Owakudani > Lake Ashi > Motohakone > Yumoto station… then to our ryokan before 4pm hopefully (with a spot of lunch along the way somewhere). Is that doable in 4-5 hours? Initially I was thinking of doing the Open-air museum on the same day but seems like it might be too hectic with everything else now, since my partner and I would probably spend a few hours there. So thought maybe we should do that the morning after, before we head to Kyoto (which we really don’t want to do later than midday). The other thing we can always do is switch the days…so do the museum on our first day and the Loop on the second day before we leave – not sure which day-plan will take more time? My partner really wants to chill in our private onsen more than anything else tbh so I’ve been begged to not cram too much in so he gets a chance to relax haha. What do you think? Feasible? Trying to do too much if I throw it into one day? Hi Sue, the ryokan you’ve chosen will be fabulous, I totally understand your partner wanting to make sure you have enough time there to enjoy it, mid-February is the perfect time for soaking in the onsen baths too. There won’t necessarily be snow but there was a lot when we were there at that time of year. If it is snowy you’ll probably find you travel a bit slower than you might otherwise expect, it’s caught us out a few times. The transport itself doesn’t really change but moving around on foot even the small distances on the circuit can. If you want to go to the shrine you might want to check that your sailing is going to stop at the nearest stop as there are 2 at that end of the lake. My preference to maximise time at the ryokan would be to split the circuit and museum over 2 days, the circuit on day one and the museum before you move on to Kyoto on the second day. That way you are back at the ryokan early enough to enjoy the afternoon routine with an onsen before dinner if you want to. The next day you can have a leisurely start with your breakfast and another onsen before checkout time, then I’d do the museum before heading back to Odawara station to carry on to Kyoto. The pass covers 2 day’s so the cost is the same to do it that way, also remember to show your pass at the open air museum for discount entry. Have a fabulous time! hallo. may i know what is the last time that we need to return back to train station from hakone to tokyo during winter? can we visit the shrine on òur 1 day trip? Hi Sofia, you can definitely get down to the shrine on a day trip but if there is snow on the ground as there was when we were there in winter then I’d suggest going to the nearest boat pier (Moto-Hakone) which is a 5 minute walk to the shrine or using the bus if you’re coming from the Hakone-machi pier as the walk takes much longer in those conditions. 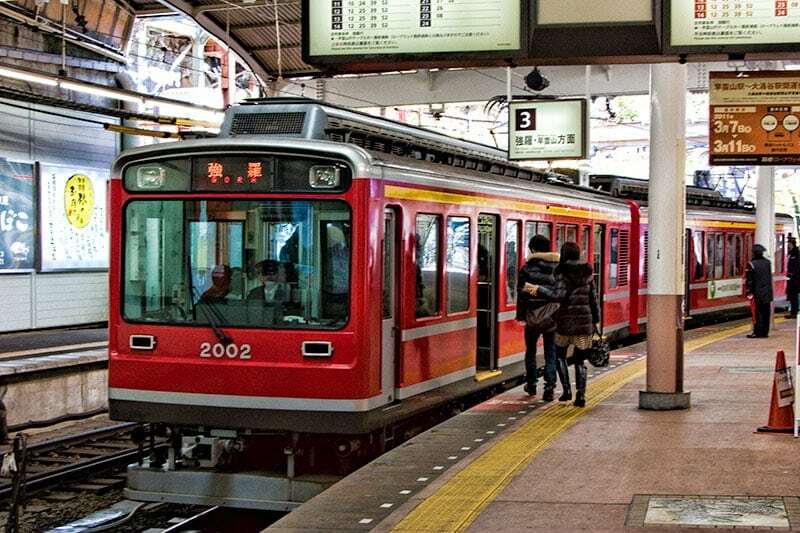 The time of the last train will depend on which company and line you are using, the bullet train, JR local trains or Odakyu but they all run well into the evening to allow time for dinner or an onsen before returning. For example, 10.51pm is the last shinkansen through Odawara and 11.03 pm for Odakyu. You can check your specific stations on Hyperia, just beware that if you are going to be relying on subways within Tokyo to get back to your base that can be a consideration too. Thank you for the great article. I do have a question about getting around Hakone. We are going from Tokyo, staying a night in Hakone, and then leaving the next day so want to make the most of the Hakone Free Pass. Unfortunately, our Ryokan is a little out of the town center (Hakone Yuyando Zen) and I was seeing if you could help advise if it’s easy to get around the area in general. Ideally are leaving Tokyo in the morning, drop our things off at the ryokan, and then start exploring! I believe the Zen is at the northern end of Lake Ashi and quite close to one of the ropeway stations on the standard circuit (1.5 km walk), it looks a great location but for dropping bags it’s quite a way from where you are likely to arrive in Hakone by train at either Odawara or Hakone-Yumoto station. Are you able to just take a light overnight bag with you as the transport within the region isn’t well suited to travelling with larger bags or suitcases. The Palace Hotel Hakonemae Bus Stop is also near there (less than 1 km walk) and the bus to there from Odawara is about 45 minutes. Have you spoken to the ryokan about what they recommend? Many of them have a shuttle pick up option from a public transport stop in their immediate area. Hi! Thank you for the great information you’ve given. I wanted to ask you about the Hakone Shrine, Hakone Checkpoint and the Detatched Palace that I’ve read about on your and others blogs. Are all sites walkable from Moto Hakone? Are they worth seeing as we will be there for only one day? Hi Cynthia. There are 2 stops on the pirate ship at the southern end of the lake, Hakone Machi and Moto Hakone. If you get off at Hakone Machi then head right (while looking at the lake) it’s 700 metres to the checkpoint museum, less than 1/2 a kilomtre to OnshiHakone park where the detached palace is and then just under 2 km to Hakone Shrine. Hakone Shrine is closer to Moto Hakone if you want to go directly there it’s about a 1 km walk. I wouldn’t say they are a must see but I enjoyed the checkpoint museum in the context of the remaining cedar lined sections of the old Tokaido road nearby and experiencing a tiny section of it on foot as someone might have back in the Edo period. The shrine is attractive set in such a natural location, it’s best known for the tori in the lake which is good to see but not as dramatic at the floating tori at Miyajima and on a busy day you’ll join a long queue waiting for the best vantage point to take a photo of it or with it. We haven’t been to the detached palace but believe the biggest attraction is the gardens and walking paths with attractive views of the lake and surrounds. If you do the course anti-clockwise this is the last section you generally do before taking the bus back to station so you can see how much time you have remaining to fit in which most interests you. Thanks so much for all the incredibly useful information. If we planned on going to Kyoto after spending a night in Hakone, how would you recommend going about doing this? Would that make the Hakone Free Pass that includes return trip to Tokyo not worth buying but just rather paying for the one way? Also given this itinerary does seem to be able to be done in one day, do you have anything specific you would recommend doing with a second day in Hakone? If you are staying in or near Shinjuku the Romance car is likely the easiest way for you, you could purchase a one way ticket and get your Hakone area only free pass either in Shinjuku or on arrival. This was cheaper when we priced it as you aren’t paying for the return trip you won’t use. If you have a JR pass for the next part of your trip use that as far as Odawara, you can take the bullet train which is much faster or there are also local JR trains that may be more convenient if staying in other parts of Tokyo. Hi Hannah, the photos in this post were taken in February and from talking to some locals we understand that we were lucky to see it like that. The snow we experienced that day wasn’t typical for Hakone. We were there again in December last year and while we didn’t do the ropeway this time so were slightly lower altitude the weather was quite mild and no snow around (only the tip of Fuji in the distance had snow). Hi. Love the Blog it is extremely helpful. I was wondering whether one can see all the attractions around Hakone in a day given the queues e.g. Ropeway, train, Lake Cruise, and cedar walk and possibly the museum. what are your thoughts.. we don’t want to be too rushed. Also should we return to Tokyo or is it easy to travel from Hakone to Kyoto? Hi Peter, it’s easy enough to do the circle course in a day including taking in a couple of activities such as looking around the geothermal area, the cedar walk, lunch and Hakone Checkpoint or open air museum. We are slower travellers ourselves so wouldn’t try everything in the one day but you should be fine with the ones you mention, it will be a full day but you won’t have to rush through. I would suggest starting early and try for midweek if possible, avoiding weekends and major holiday seasons such as golden week, the queues then are much more extensive. You can continue on to Kyoto rather than returning to Tokyo but the ride will take a bit longer (just over 2 hours on the Hikari bullet train_. If you do that options you could either put your luggage in lockers at Odawara station where you will continue on from at the end of the day or use the forwarding service to get it sent on ahead to your next hotel. Hi 2AT, Thank you for your advice, it was greatly appreciated. I am hopeless at estimating and don’t know what is worse – spending too long in a location or being rushed. As a side issue, have you ever walked from Magome to Tsumago? I was interested in the easiest/best transport option to Magone and what major town -Tokyo or Kyoto, would be the best point to start from. Any insights would be appreciated. We’ve not done it yet but the Kiso Valley looks amazing and would be beautiful if you can fit it in. The train section is about 2.5 hours from Kyoto and almost 4 from Tokyo. From what I’ve read I’d start at the Nakatsugawa/Magome end as the uphill section is at the start and most of the trail is downhill. The Japan Guide was where I first read about it and they have a link to the local bus timetable. https://www.japan-guide.com/e/e6078.html . If you get the chance to do it I’d love to hear about it. Hi Michael, the transport in the Hakone area is busy on the weekend and not equiped for taking large luggage, even smaller suitcases would be tricky. If you are staying one night I would suggest taking a small overnight bag to hakone and using the luggage forwarding service to send you luggage on to the next destination or seeing if the previous hotel would hold it for you if you are returning to the same city. Also check if your hotel has a complimentary shuttle, we had one to and from our onsen when we were there a couple of weeks ago although that wasn’t a long distance. Oh wow, Fuji-san wasn’t that clear the day I went! Nice shot of the enormous mountain. I went not long ago in Autumn and the crowds were crazy. 1 hour queues at each stop. We’ve just been in Hakone again today for a wonderful onsen day and to the Open Air Museum, the autumn colours are nearing their end now but still very pretty. The Tozan train was busy especially around lunchtime from Hakone-Yamote toward Gora but fortunately no queue we got onto the next train at each station. Were you there in the week or weekend? Ahh i was there on a Friday, but it was between the public holiday on Thurs and the weekend. My wife and my kids 6 and 9 yr old. Will visit hakone on 6 January. Do they have lots of snow in lake ashi? Hi Hermanwan, Hakone doesn’t have consistent snow in winter. We have visited in winter when there was good snow in the parks and other attractions around the edge of Lake Ashi at other times there is none. The current forcast for that first few weeks of January is overnight lows around zero but daytime highs around 8-10 degrees c with no snow predicted. You never know though, good luck. We want to do two days around the Hakone area and do the loop. We are coming from Kyoto on the 5th of Jan so will prob only arrive around lunch time. Can you suggest a good area to stay maybe a third way around the loop?? We will have all day on the 6th but will head back to Tokyo in arvo. Hi there! Are we able to visit Hakone on our own without arranging for a tour? Hi Shena, in this article we travelled in and around Hakone independently not as part of a tour so it is definitely something that can be done easily, even by those of us that don’t speak Japanese. 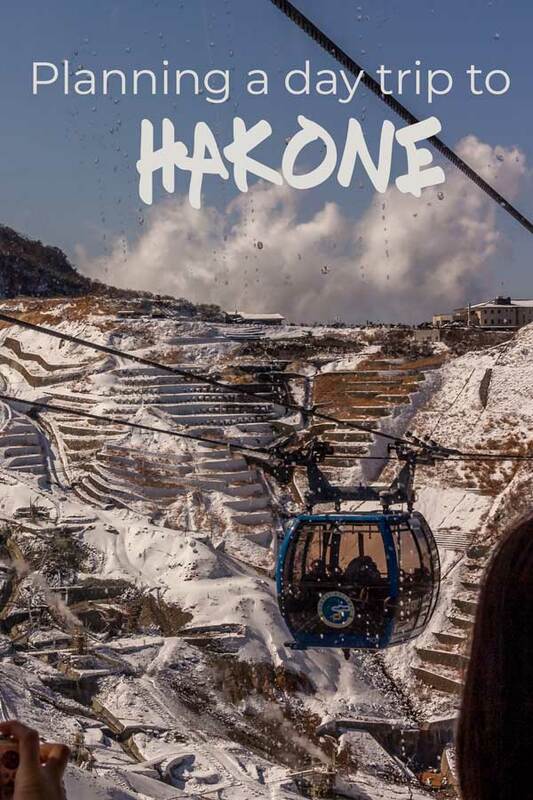 In this article we mention the Hakone freepass and in more detail in https://www.2aussietravellers.com/hakone-freepass-value/. This is a discounted city pass, not a tour. You can do exactly the same thing on your own without the pass by buying individual tickets at each place or station, it would just cost you a bit more and we found the pass made it very easy and the transitions easier. 1. Is it possible to tour most of the attraction in Hakone in 1 day? or should i have 2 day? i). Start from Odawara – This should be no problem since the Free Pass is available at Odawara Station. Hi Thaddeus, I’ve not included Kawaguchi Lake on that trip but my understanding is that the Hakone free pass will get you only as far as Gotemba. Then from Gotemba to Lake Kawaguchi is about Y1510 on the Fuji Kyuko Bus which takes about 70 minutes and runs roughly hourly. I’ve only seen the Hakone free pass for sale, both through ticket machines and booths, at Odawara and Shinjuku, as it doesn’t cover Kawaguchi Lakes I’m fairly certain you won’t be able to purchase from there. Hi there. Thrilled with all your information, thank you. A friend and I are going over in October, she’s been to Tokyo once but I have no idea about any of it. Widely travelled but never to Japan. Think I have missed something as I can already see I need to go back again, not having time to fit in everything this trip. Have accommodation booked now but trying to decide if the 7 day JR pass is worth it as we’re only doing 1 way to Kyoto and Himeji return from Osaka though I think if we also do Hakone it will be worth it. Or do we do a one day Hakone organised tour instead? I’m already dizzy and dazed with everything going into my head! I’m nearly all researched-out! Hi Pamela, no matter how many times we go to Japan I always have a list of things I want to get back for. From your itinerary I wouldn’t use the JR Pass as it won’t pay off unless you add in a number of extra trips. I am guessing you’ll do Hakone from a base Tokyo so the pass they call the ‘Hakone FreePass’ from Shinjuku would be worth considering as it includes the train there, it’s not a bullet train but isn’t really that far either. I’ve written about the pass if you want to read more. You can buy it at the station on the day if you do go ahead with it either from the ticket office or the machine. 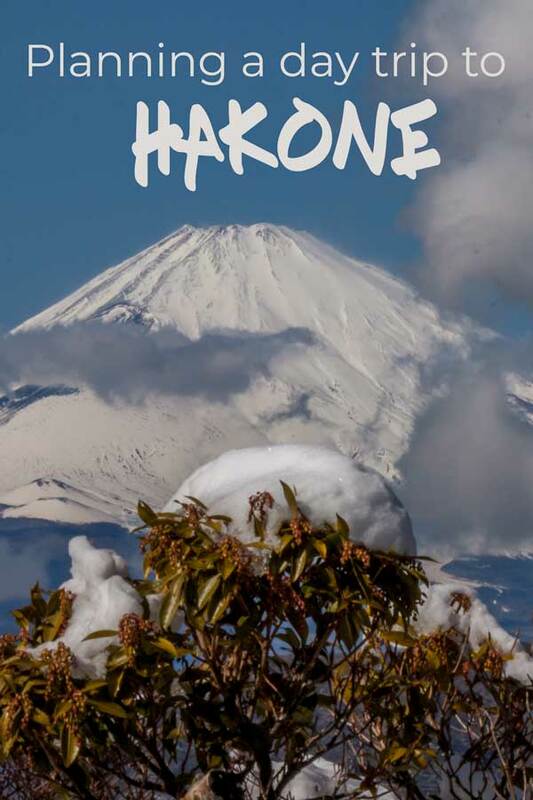 https://www.2aussietravellers.com/hakone-freepass-value/ Enjoy your trip! Hello! My husband and I are leaving for Japan in two weeks and I’ve been stressing out about planning the trip so we get the most out of our 13 days there. Since neither of us have been to Japan before we have been really reading your website thoroughly about Japan to gain a lot of insight. One thing I couldn’t find sure of was whether or not we will go to Gotemba in this Hakone FreePass or if we are able to go there. Could you please help me with this? Thank you in advance! Hi Amanada, how exciting only 2 more weeks. When you say Gotemba do you mean the Gotemba 5th Station on Mt Fuji or the Gotemba outlet mall area? I believe only the outlet mall area would be covered, we haven’t done it but you would do the standard route as far as Gora station then take the bus from there to the outlet mall. It’s the Kanko Shisetsu-Meguri bus (these are/were red) and is covered in the pass. I think it takes close to an hour each way from Gora so if you’re only doing a one day trip it may be a bit tight for time getting to all the sights if you want to do the sightseeing course also. Have fun! Fantastic blog, and amazing photos!! We are travelling to Japan for our honeymoon in April and can’t wait! We have allowed 2 nights in Hakone and after reading all of the comments we think this is a good decision with so many beautiful things to see and do. Can anyone recommend any accommodation, we are looking at Hakone Hisui (around AUD$500 per night for 2 people), it’s near the bontanical gardens. Happy to hear any other recommendations! The Hakone Free Pass sounds great, we have decided not to get the JR pass so we think this will be very useful from Tokyo. My husband and I are traveling to Japan in July with our four young boys and my parents (ambitious I know!). We intend to stay in Hakone for a night or two and will likely activate our JR passes in Tokyo. We’ll have all our luggage with us so do you think we would still disembark at Odawara and take the Hakone Tozan Railway (with all our luggage) to Hakone (station? ), where we would ditch out luggage at our accommodation (yet to book but any suggestions welcome) and continue on to the open air museum…..? There are a couple of Hakone stations Kathy, do you know which one you need for your accommodation? It would make a difference to how best to get there. If you have a bit of luggage and limited time to see the area using a Takuhaibin (luggage forwarding) service may be an option or using lockers in the station and collecting it later in the day closer to check-in time if you want to get started early. Hi there is luggage delivering service where you can send your luggage to your next destination so you don’t need to carry around. You can also take the romance car from shinjuku which provide a great view. 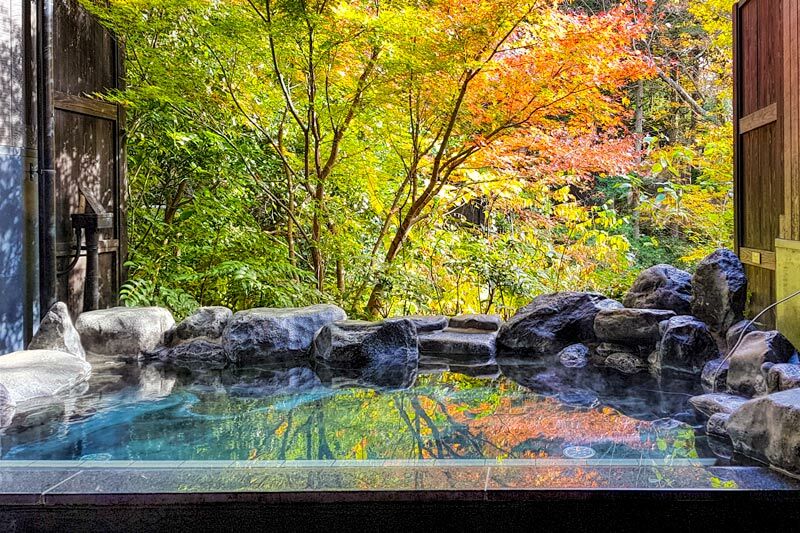 Would you say it’s worth spending one night in the Hakone region? Was planning on visiting and doing two days and one night here. You opinion would be much appreciated! Loving this blog, getting lots of ideas for my trip! Hi! Am planning a trip with my parents and came across your blog. So helpful for a day trip to Hakone from Tokyo! Can I know which month you travelled in, though? 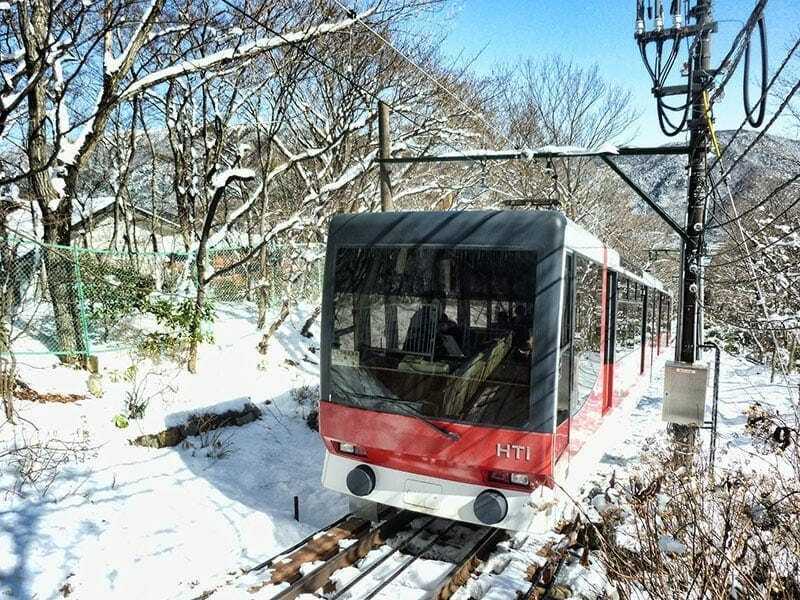 Hi, the photos in this post of our snowy visit to Hakone were taken on a winter trip in the middle of February. Thanks for your feedback and have a great holiday! Im a nature person. When husband decide tokyo instead of korea. I dont think the trip going to be awesome. But after reading your post about hakone, i think its going to be superb. 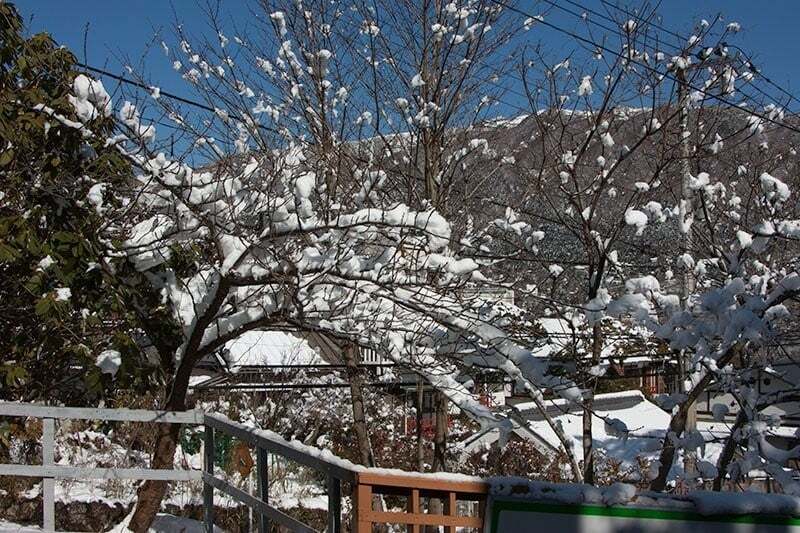 We going to hakone on jan 15th, it is possible to see snow during that that?? I never experience snow. So really hope to see one in japan. Thank you in advance for your reply. All pictures look amazing. The weather is a bit unpredictable and Hakone isn’t a heavy snow area but yes it is possible, we had a good coverage when we went in mid February. 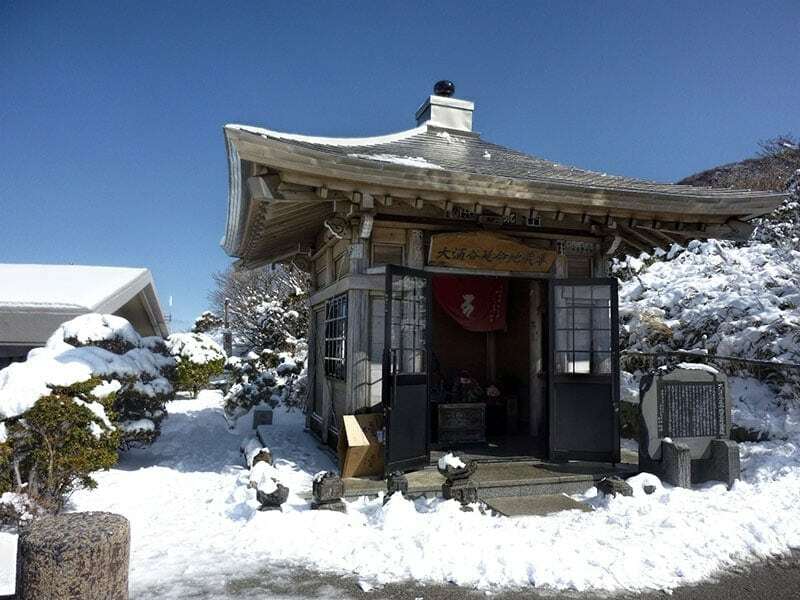 If you love nature another place to possibly see snow on a day trip from Tokyo is Nikko especially if you have time to get to Lake Chuzenji, I haven’t got a post up on it yet but we saw small amounts of residual snow around the temples even in April. 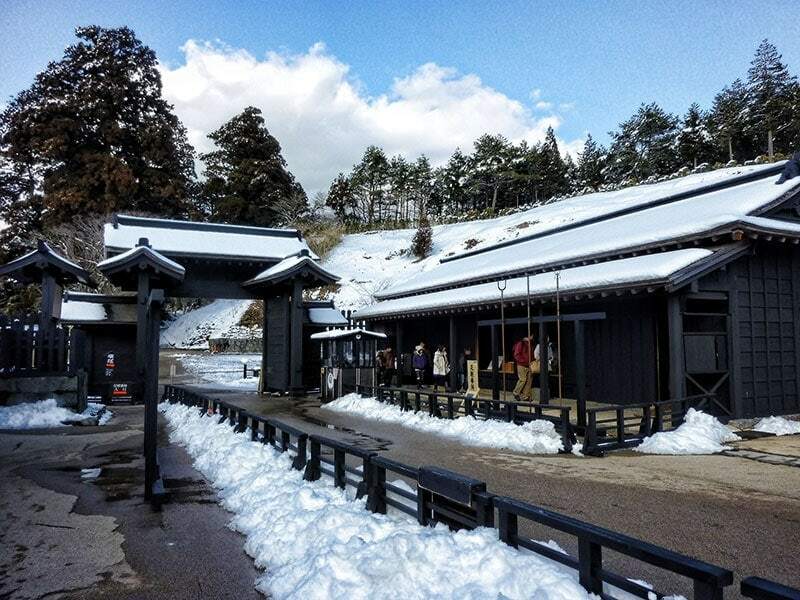 More expensive to get to if you don’t need the JR Pass is the snow monkeys in Nagano which we also did as a Tokyo day trip http://www.2aussietravellers.com/snow-monkeys-daytrip/ – as a nature lover this was a real highlight of our visit. Have a wonderful time, we aren’t city people but Tokyo was fun, although admittedly we broke it up with day trips to less populated and more natural areas. Hi Lisa, From Tokyo station to Odawara, the station where we purchased our Hakone FreePass and started our circuit is 35 minutes on the bullet train (Shinkansen Kodama). 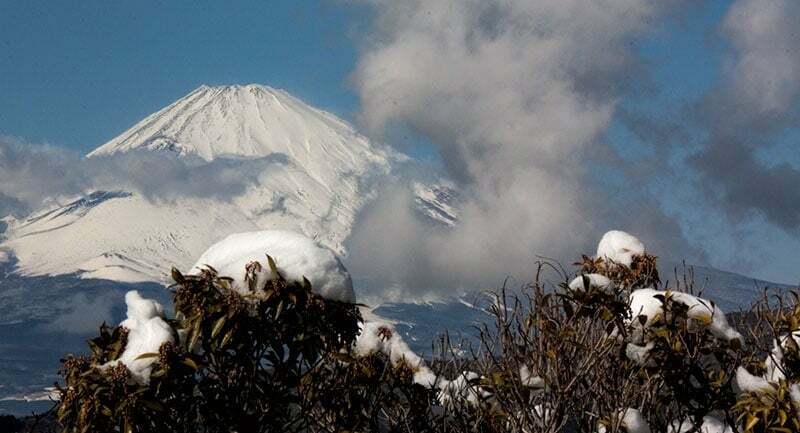 There is more information in this article http://www.2aussietravellers.com/hakone-freepass-value/. As you are using the JR Pass you can use the bullet train not local trains although even on the cheapest fare it shouldn’t take 2 hours. I think the difference is that you are staying in Shinjuku which is a fair way from central Tokyo, it takes about 20 minutes by train from Shinjuku to Central plus you’d need to allow transfer time to the shinansen platforms and the next train connection. From Shinjuku you wouldn’t come back into the city you’d take a local train to Shinagawa, the nearest shinkansen station and go from there. That route on JR would still be under an hour. You can use hyperdia.com to find the best routes, input Shinjuku (or your nearest station) and then where you want to go (Odawara), make sure the sort order is time and untick nozomi. You can input the day and time you want to go if that is useful and it will give all the options and work out any interim stations or transfers you need to make from the subway or local train. If that isn’t working for you let me know, I can screenshot it and email it to you. Have a great trip! Hello! I’ve based my trip on many of the good suggestions you’ve posted here and on your other posts. So thankful reading your trip – it’s like I’ve had a dry run in my imagination. As it is, I’ll be there last 2 weeks of January, so I anticipate lots of cold and snow. Like you, I live in a warm part of Australia, so I’m very excited. But I’d like to ask how to dress warmly, yet not overpack, for this season. For a day trip like Hakone, would I be ok with just waterproof sneakers, or should I wear my boots? I’ll also be going to the Snow Monkeys, so intend to have many layers plus my heavy coat. Any clothing tips would be appreciated! Thanks! Hi Lucy. I had a ski jacket with me on this trip as we were also going to be in Sapporo which was much colder so I wore that both days although I had a normal coat I wore other days in cities. For me layers on top were key as inside and in the transport the heat is turned right up so I was stripping off and layering up a lot. Also I took thin leggings to wear under jeans and pants for extra warmth but I didn’t really wear them much as it just felt too constricted and uncomfortable to me. On my feet for the snow monkeys I wore light gortex hiking boots which are waterproof and did keep my feet warm and dry which was lovely but I didn’t wear them as much as I expected during the rest of the trip so if I was tight for space I’d leave them behind. My main issue with the snow wasn’t cold wet feet it was not slipping on icy roads and pavements but that was more in Hokkaido up north other than that cold and snow wasn’t as bigger issue as I’d thought it would be. Waterproof sneakers would be a good option if you have them or just stuff shoes to dry out in the hotel overnight and have a spare pair. We walk a lot in Japan so comfortable shoes are a priority for me, my leather dress boots were OK and look tidier but the soles were a bit slippery (like in Nagahama where we had snow and a bit of ice) I’d have managed Hakone OK in them but not the snow monkeys. Hope that helps, you sound like you have it sorted. Hello! Love your site and description of your trip to Hakone. Beautiful pics and very helpful! I am planning to do a day trip to Hakone early December. What time did you leave Tokyo and what time did you arrive back? I am wondering how long it would take to complete the circle using the Hakone Free Pass. Hi Christina. It’s going to depend a lot on your natural travel speed and how many things you want to stop and do, or look at, along the way. We left Tokyo just after 8am I think, we like an early start so as we used the bullet train for that first section we were there around 8.30am and we headed back mid afternoon, we would normally have stayed for dinner but we had plans to see some lightups in Tokyo that evening. If you just wanted to do the circuit you could get around in half a day but that’s not our travel style, we wander off track and spend time getting a shot we want or linger over lunch. We didn’t think we’d have time to do everything so we skipped the open air museum which would be the first stop on the direction we did the course. In hindsight we should have just gone or done the circuit clockwise so it was the last thing in the day. Can I check what time in the afternoon did your day trip end, assuming you started early in the morning? I am exploring staying at an onsen ryokan near Hakone Yumoto station (which is 15mins train ride from Odawara). Hence I am wondering what time can I possibly check in after the day trip with the Hakone Free Pass. Thanks Mae. We finished up mid afternoon but it will depend how many things you stop and explore and how long you linger over lunch and various views. We had some stunning views of Mt Fuji between clouds and as we could tell by then we weren’t really in a hurry so we waited there a while to get the shot we wanted. We also just missed a sailing on the lake so we played in the snow in the park down there for a while (snow was a big novelty for us). We are two independent mature age travellers going on our first trip to Japan at the end of October and are planning a day trip from Tokyo to Hakone and the Open Air Museum is a must for us. Your Hakone day trip looked great but did you use a Japan Rail pass to Odawara and how easy was it as independent travellers doing the loop trip you described ? Hi Anne, I agree the Open Air Museum is a must do, we just ran out of time but it is on the list for next time. We used the JR Pass as far as Odawara because it was already activated for that period, if it hadn’t been we would have used the day pass from Shinjuku in Tokyo which includes the train to get there. The loop track is very easy to follow as an independent traveller, it’s very obvious where to go from the end of one transport to pick up the next one once you have finished the activities in that area. It’s a great day. Thank you so much for your really useful notes and inspirational photos. I am just tweaking my travel plans for a trip to Japan in October and I am now going to try and fit in a 1 or 2 night stay in Hakone rather than rush it in a one day trip from Tokyo. Thanks Libby, an overnight in Hakone will be fabulous if you have the time available to really enjoy the onsen and attractions in the area. Have a wonderful holiday! I really really love it, after looking at your beautiful pictures of Hakone. In fact we are planning to visit Japan this year Dec/Jan with my family and will be staying in Tokyo for few days. I wanted to have one day trip to Hakone. Can you let me know when to purchase the Hakone pass ticket ? Hi Andy, the trip sounds great, we loved Japan in winter and you’ll catch all the light ups around Tokyo at that time of year. We purchased our Hakone pass on the day very quickly and easily from Odawara station, we took the bullet train to there because our JR pass was still active but you can also use the pass from Tokyo. You need to get to Shinjuku station where there is an Odakyu sightseeing office and vending machines both selling the pass. The machines have an English option so you can buy it then hop on straight on the train there. The Odakyu line is well sign posted in English from the JR line area. I am just loving your blog posts about Japan. I am making plans for our trip in dec/jan this year and all your snow pictures are thrilling. We too are basing ourselves in cities for a week and planning day trips. Reading your posts is convincing me that a JR pas will be suitable for us as we intend to travel on longer day trips. Thanks for that Penelope. I hope you’ve found all the info you need but if you have any questions please leave a message on the post or use the contact form for any questions. Although we generally don’t like the cold at all we loved winter in Japan, have a fabulous trip. I am in SE Qld so our kids 11 and 12 are v excited about a cold holiday. That sounds fabulous Cristi, it will be so much fun to experience it with your children. We also try to avoid moving accommodation too often, not just getting the bags around but you seem to lose quite a bit of time with the check in and check out process so we try to keep it to 2-3 base cities/hotels on a trip and then do day trips from them. Staying in Hakone would be great though especially if you can find somewhere to enjoy a family onsen experience. I also had a day trip to Hakone and it was awesome just like yours but to be honest spending 2 days would be better. your post is awesome! i’m just curious when was the exact date you went for a day trip in hakone? thanks! Hi Anne, we visited in mid February which is winter in Japan as you will see from the snow in many of the photos and the bare foliage. We timed our visit for mid week too so it wasn’t so crowded. Thank you for this very useful information. We’re headed to Tokyo soon and are hoping to do a day trip like this. Enjoy your trip to Tokyo Karen, its an amazing city, we always have such a great time there. We visited Hakone during the summer and loved it! It was a nice break from steamy Tokyo. Sadly, with the humid skies, we couldn’t see Mount Fuji at all, even though we were so close. I would still highly recommend Hakone, and if possible spend a night in a traditional ryocan in the area. We’d definitely go back on a future visit Shelley. We didn’t get to the open air museum and staying at a Ryokan there would be wonderful as many of them seem to have private onsen. I’ve not been brave enough to tackle a public onsen bath yet. I love visiting places when there is snow, just don’t like living in a place where it snows! Have greatly enjoyed my 19 years in Florida, after moving down from Maryland! Now in the Netherlands, I enjoyed the few sprinkles of snow we got this winter! Wow! The snow just makes everything pretty. Great photos, btw! Interesting! Hakone Free Pass sounds like a very good value, esp. if you’re there overnight. Would love to try the Ropeway for the whole of 30-minute trip although I’m actually afraid of heights, haha! We’ve long wanted to go to Japan. And now we want to even more as snow just looks more special there. For the present, we’ll have to content ourselves with looking longily at neighbouring Tenerife’s Teide. 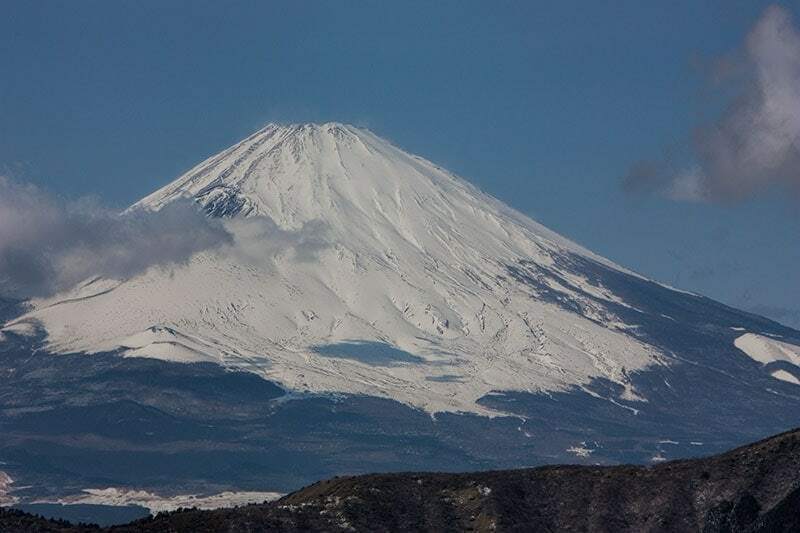 It does a mean impression of Mount Fuji, especially when snow-topped. Whoa, that’s so beautiful, not many people visit Japan during the winter since it’s cold but those snowy landscapes definitely make it worth the visit! We tend to visit more in spring and winter than other times of year, it’s just very different for us coming from a sub-tropical climate. We haven’t actually been in summer although I would like to go when the gardens are green and lush and the summer festivals are on. Hakone looks like a beautiful place to visit. What made you guys decide to visit Hakone from Tokyo? Hi Jessica, we don’t like to move our base in Japan too many times and the transport is so good and so fast that it’s very easy to do longer daytrips than I’d consider in many other places. In winter time the Mt Fuji base stations are closed so the view from Hakone was the next best thing. I really enjoyed it though and I’d go back, next time I’d like to stay a night at a hotel with an onsen so I could soak in the hot waters at the end of the day. Wow. It looks so pretty in all the snow! Japan is getting higher and higher on my bucketlist 🙂 thanks for this beautiful post, tips and all the amazing pictures! What a gorgeous, crystal clear day to get your exceptional photos! Beautiful views and good to know about the free wifi. I would love to visit the hot spring onsens to beat the chill. 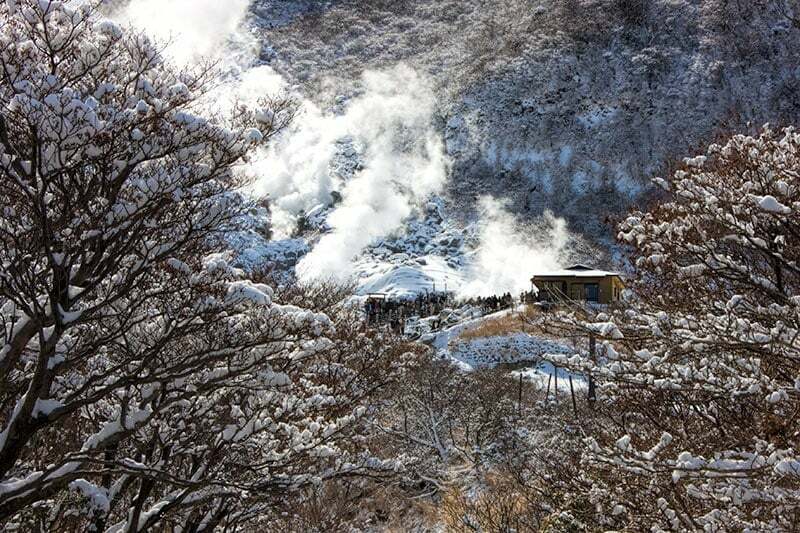 I am soooo looking forward to visiting Hakone – especially the hot springs! I was pleased to see the sentence, “You can use all of them multiple times and in either direction”…this is the first time I’ve seen the direction issue explicitly spelled out, and everyone seems to talk about doing the loop anti-clockwise. We have two nights in Hakone – the Open Air Museum is top of our list to visit, closely followed by the black eggs at Owakudani and Yunessun Spa Resort (which looks wonderfully quirky!). One question – I’m assuming luggage is okay on the Odakyu line Hakone Tozan train…but what about the other modes of transport? (our accommodation is in Hashimuko the first night and Miyanoshita the second night and I’ve yet to work out how we get the bags between the two). I believe there is a luggage delivery service – perhaps that would be best? You’ll have to report back on the hotel onsens and open air museum. I’ve heard a lot about both and they’re on the list for future trips. As for luggage if you’re talking about your full cases rather than an overnight bag I’d try to avoid it and consider sending it on to your next stop and maybe just take your cabin bags which you can drop at the hotel or put into a locker at the train station and collect later in the day. I don’t think the time we were there was unusually busy but you would have struggled on any of the Hakone transport after the Shinkensen. It may of course have been because we started early and so did many other people so perhaps we hit the first train together then numbers probably spaced out through the day. Something I did notice at Hakone station but didn’t see in bigger cities was pickups for several of the hotels, not sure if they were complementary or not but that could be another option?